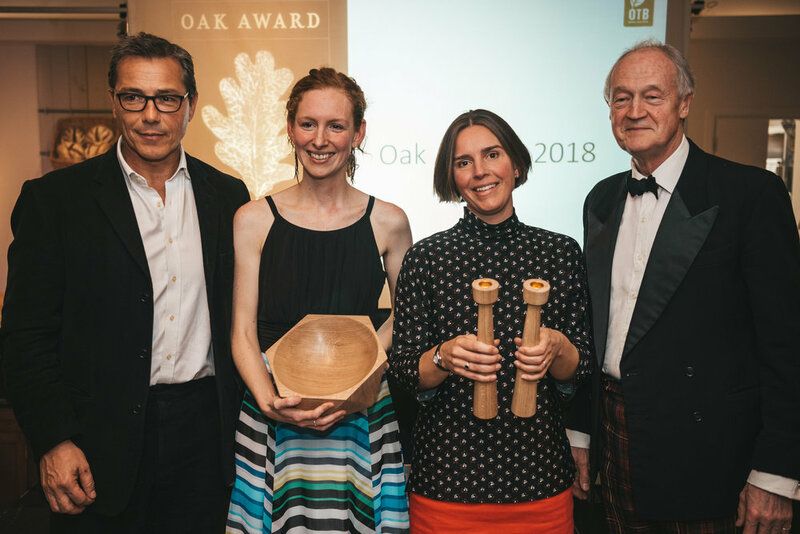 We are delighted to announce that the first ever Oak Award has been won by Susie Hewson. 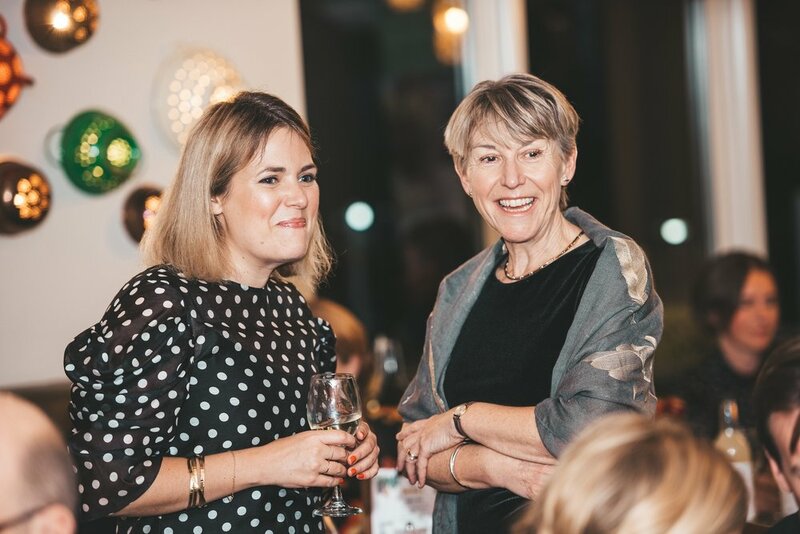 The event was held at the Yeo Valley Canteen, where members of Susie’s company Natracare were on hand to receive her award on her behalf. Susie has been a pioneering force in organic since 1989 when she created an organic  feminine hygiene  company. Inspired by a documentary about the growing danger to human health and the environment of Dioxin pollution, Susie set up Natracare - makers of natural menstrual products, Their products included the world’s first certified organic cotton tampons and plastic-free sanitary pads. A lifelong environmentalist, her aim was to develop an alternative that respected women’s bodies and our planet. Susie campaigned since 2000 to have organic personal care standards for feminine hygiene, eventually succeeding with GOTS v5. All of their menstrual, incontinence and baby care products use only organic and natural materials and they have a commitment to the highest ethical standards, plus a focus on organic principles and compostability. 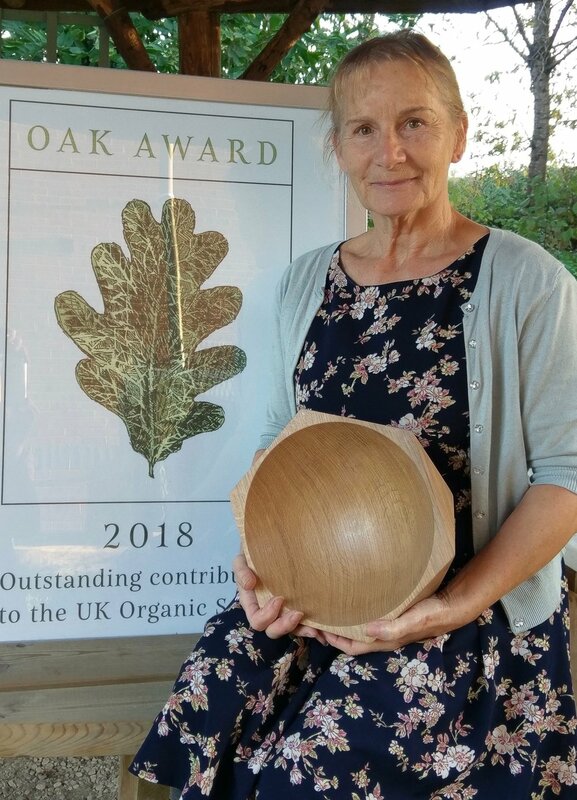 Susie’s award is made from 150-year-old oak, representing the lasting impact that Susie has already had on the organic landscape. The hexagon-shaped award echo bee hive chambers - nature’s building blocks. On receiving the award, Susie said that "For the past 30 years, I've been fighting a battle in a market dominated by global giants to fulfil my passion of putting people and planet first. At times it has been brutally tough, exhausting and challenging, but the rewards of eventually seeing organic period products becoming established and Natracare's global reach makes all that hard work worthwhile. I'm honoured to receive the very first Oak Award, and I thank the OTB for recognising my contribution to making organic menstrual products an important category in the organic industry." An award was also given posthumously to Peter Melchett, who died at the end of August. Two candle holders, made from oak, are awarded in recognition of his outstanding contribution to the organic and political landscape. Every time the candles are lit, Peter’s light shines on, as will his legacy for organic farming for years to come. A souvenir booklet was created for the event by ORC, which you can read about the 5 shortlisted nominees here.